Training of the catechist is necessary to ensure that the faith is shared in its integrity and in a manner that responds to the needs, learning styles, cultures and other special characteristics of those in their care. 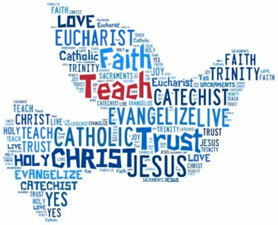 The Adult Learning Program of the Archdiocese of Miami Virtual Catholic School (ADOM-VCS), in partnership with the Archdiocese of Miami Office of Catechesis, offers the following courses transferable to the Catechist Certification Program. ADOM-VCS cannot advise on the courses you need - for questions about courses needed, please ask the MIP Coordinator from your school/Office of Catechesis. Each course is $45. Students may take up to two courses each session. Tuition is paid via FACTS - create or link your existing FACTS account to ADOM-VCS . All course materials will be provided via the virtual class platform; students will need to download Chrome browser on their devices.